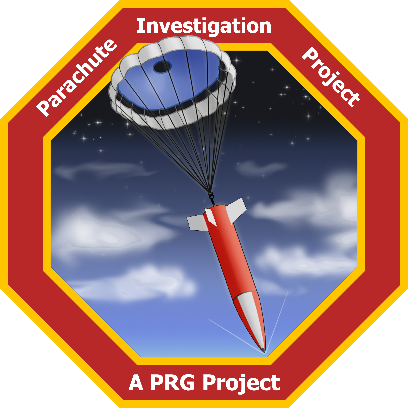 The Parachute Research Group (PRG) works on expanding and improving the already available recovery systems, while coming up with new concepts. PRG is currently working on different projects, such as Stratos IV, PIP and project Aether. From left to right. Top row: Thomas, Mark, Zyanya, Matteo. Middle row: Igor, Justin, Bram, Esmee, Francesca, Nathaniel, Thijs, Elrawy. Bottom row: Pedro, Lars. 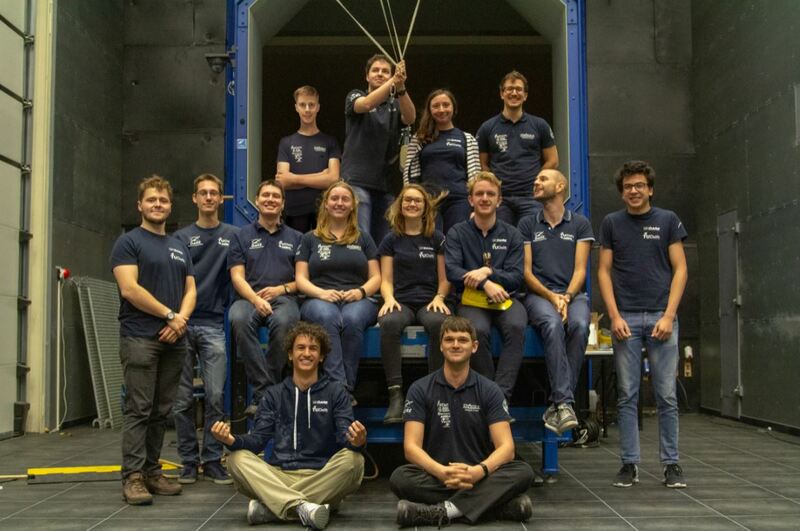 Engineering Department: Justin Bourgois, Thomas Britting, Pedro Angelo Vaz de Carvalho, Igor Amore Lima da Costa, Nathaniel Dahl, Ramanathan Gurumoorthy, Thijs Gritter, Bram Koops, Francesca van Marion, Esmée Menting, Shashruth Reddy, Mark Rozemeijer, Badhrinarayanan Sambath, Matteo Serman, Elrawy Soliman. For 2018, multiple test series in the wind tunnel of the TU Delft are planned. These tests will be used to gather valuable data on the performance of parachutes. Additionally, the previously designed subsystems are being improved, these are the mortar system and the explosive bolt. The improvements focus on minimizing the weight while maintaining the current performance. PRG has several internal projects that are aimed at expanding the knowledge of inflatable aerodynamic decelerators and several projects PRG supports where the gained knowledge is applied. After the flight of Stratos III, DARE went on to find a new challenge. This challenge soon became to become the first student build rocket to reach space. PRG was, just like for Stratos III, assigned for the development of the recovery system. For this, several new members have been recruited and they will work on the initial concept. Updates will follow! During the development time of Stratos III, the team found that there is a lack of opportunities for testing parachutes. The team has the Open Jet Facility (OJF) of Delft University of Technology available for testing. However, with a top speed of 30 m/s, the parachutes cannot be test at the desired dynamic pressures. For this the team looked at flight tests, however, there were no launchers available that could do a high dynamic pressure test in a reliable way. Therefore, the team started the development of the PIP launcher. Based upon the CanSat v7 launcher, the team has spent half a year on the development of the first vehicle, aiming to perform the first test of the vehicle in October 2018. PRG has two in house developed simulations tools, ParSim and TumSim, that can predict the free fall behaviour of objects. ParSim is a conceptual design tool that can assist in the concept development of a mission. TumSim can predict the free fall behaviour of aerodynamically unstable objects and thus requires more inputs. This makes it a tool used more in the preliminary and detailed design phases. The work resulted “Flight Simulations of the Stratos III Parachute Recovery System” presented at the IAC 2018 in Bremen. Besides the larger projects, PRG has several research and development projects that are being done. These include short research for other projects or upgrades to PRG hardware. 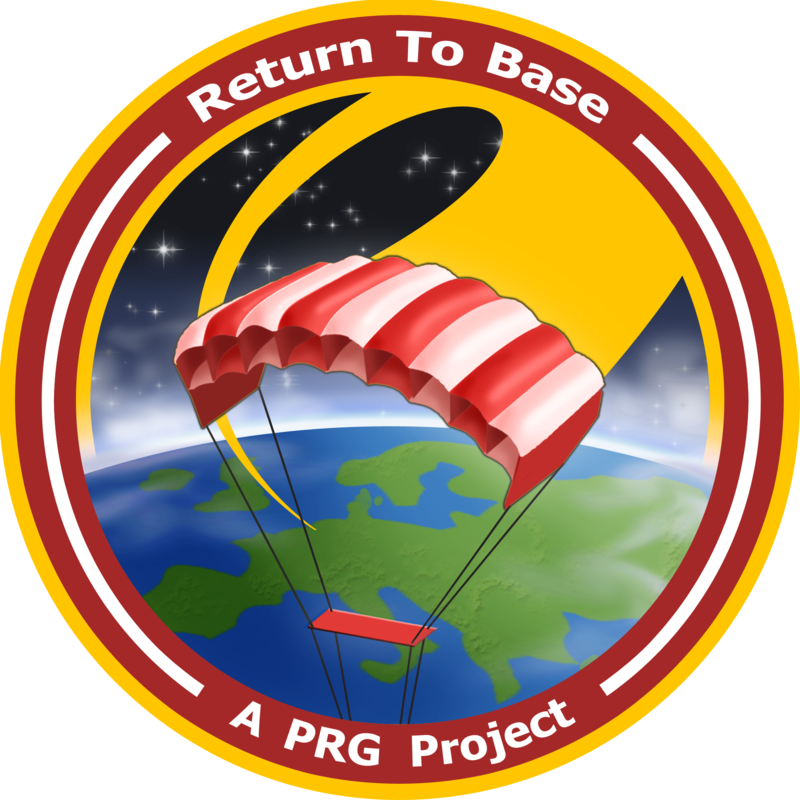 Return to Base (R2B) – In windy conditions payloads under parachutes can drift far away after deployment. To mitigate this risk PRG has been working on a steerable parachute that allows the payload to fly to a predefined landing location. Hot gas deployment device (HGDD) – During the development of Stratos III, it was seen that about half the mass of the Cold Gas Deployment Device (CGDD) was the feed system. Furthermore, the feed system proved to be the part of the PDD most prone to leaks and failures. In order to mitigate both, the team is investigating the usage of pyrotechnics to deploy the parachute. Test bench upgrades – To ensure that the wind tunnel tests are done to the standard PRG upholds, it was decided to upgrade the test bench to automatically deploy a parachute and measure the performance of the parachute. These upgrades are currently being investigated and will be implemented in later wind tunnel tests. The PRG team came from the capsule team, which started out as a sub-team of the Stratos II project. In this project, the team was responsible for the structural integrity of all the components above the engine as well as for the recovery system. The main components that were designed and produced were the glass fibre nosecone shell, the payload section and a dual-spring-deployed parachute system. After the Stratos II+ flight, many team members left the society to graduate. This meant that a young and new team was tasked with the continuation and the development of the Aether recovery system. The team decided to build a modified version of the famous DARE CanSat launcher to test the Aether recovery concept. The flight was successful for most of the subsystems. However, a broken line caused the rocket to crash.More information on the flight can be found here. After Stratos II+ the next large-scale project within DARE is project Aether. This project is a collaboration between multiple teams of which the PRG team is one of them. PRG is responsible for the complete recovery system of the rocket. The recovery section was designed as a two-stage parachute system: a Hemisflo ribbon drogue chute and a cross main parachute. The drogue parachute is deployed sideways from the rocket from a mortar: a high-pressure CO­­2 vessel that deploys the drogue chute a high-speed. At a predetermined altitude an explosive bolt will be activated so that the main parachute gets deployed. In March 2017 the project got delayed due to technical problems. This allowed the team more time to developed and improve the sub-systems of the rocket. Just after the summer of 2017 the team rapidly expanded with multiple new members, most from DARE’s first year project. This allowed the team to start the development of new innovative systems. The nosecone of Stratos III will be recovered, because their payloads and important flight data will be stored. The recovery of Stratos III will happen after the rocket has reached apogee. After the apogee, the tank will separate from the nosecone. This separation will make the recovery of the rocket easier since there will be a mass reduction, and because the nosecone will go into a flat spin that will cause an increase in drag. Because the nosecone will be spinning, a large parachute cannot be deployed, since it would entangle with the nosecone and therefore, it would not inflate. To stop the spin, a small parachute will be deployed, a drogue parachute, this drogue parachute will be made from Twaron, a light and strong para-aramid material. Furthermore, to ensure that the lines of the drogue do not entangle, a cold gas deployment device (CGDD) will be used. This system will shoot the drogue at a velocity of 20 m/s. At about 1000 meters, the main parachute will be deployed. This parachute will be pushed out by a spring system, which is enough because the nosecone will not be spinning anymore. Once the main parachute inflates, it will decelerate the nosecone to below 20 m/s for a safe water landing.